While the veneer (layer 2) is intact, the unidentified coating is damaged. 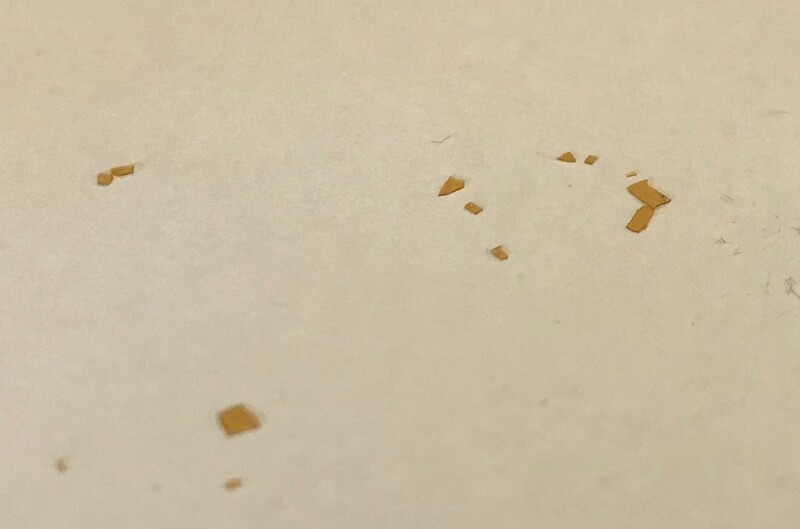 There are areas on the tabletop where the coating is completely rubbed off (picture 2, 3). 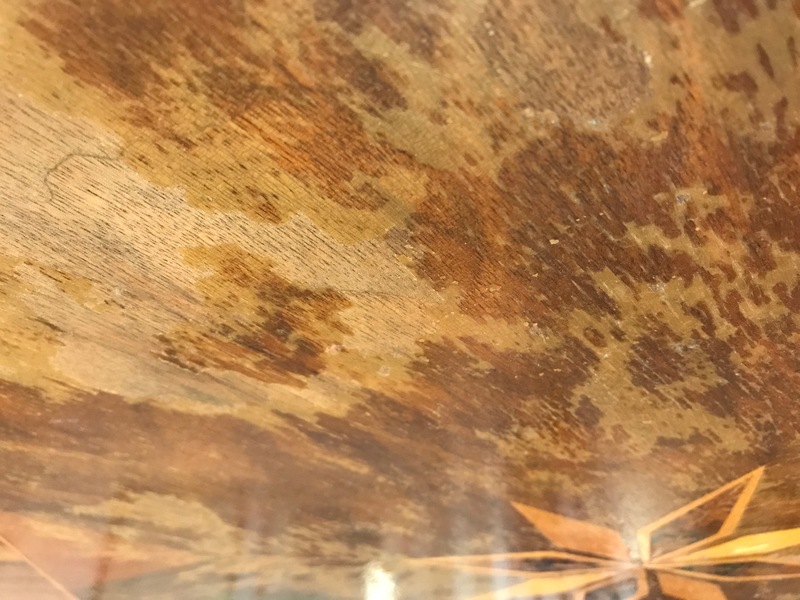 Multiple fine cracks can be seen all over the table top. 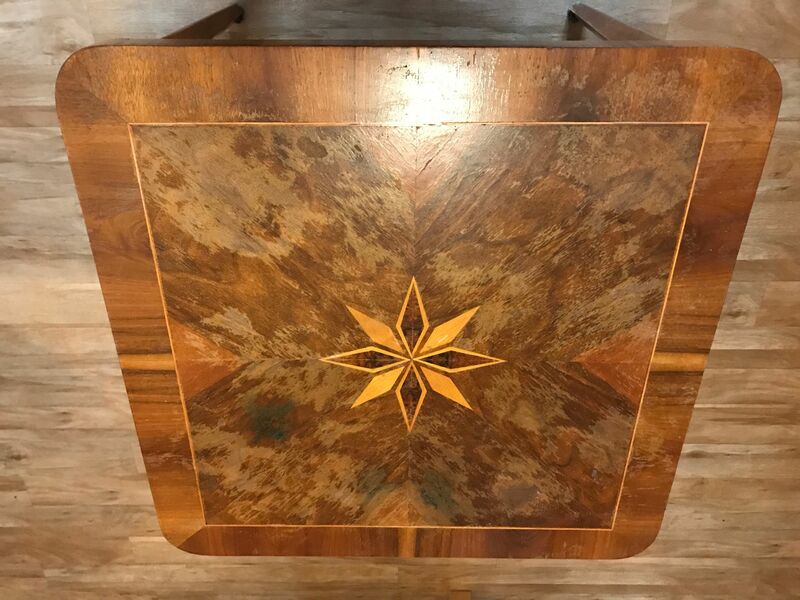 I'd love to get your input on my question: How can I restore / repair the table? I would prefer to do it in a way so that the tabletop becomes as pretty as it once was and as resilient as possible. Browse other questions tagged wood tabletop veneer or ask your own question. How can I repair raised boards on table top? Mid-century table: Is it worth re-veneering? Can this table support 150 KG?